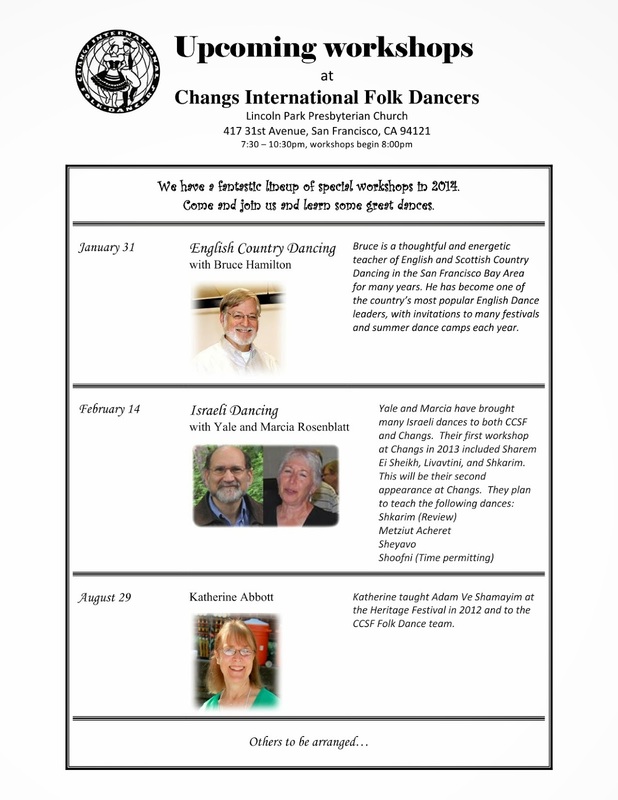 Some great upcoming workshops at Changs! Let’s all start the new year with dancing tonight!!!! Sukacko Kolo: This is a dance for a small circle of 6-8 dancers from the Prigorje region at the foot of Zagreb Mountain in Croatia. The name is translated as “Woman cook’s dance”. Traditional wedding celebrations in this region would go on for up to 5 days, and during the wedding feast the cooks would come out and dance for the wedding party to demonstrate skills beyond the ability to cook. This is one of their dances, and was introduced in California by Gordon Engler in 1968. Horehronsky Czardas: This is a women’s dance from the Upper Hron Valley in Slovakia. Danced in a large circle, it shows Hungarian influence but is still basically Slovakian. 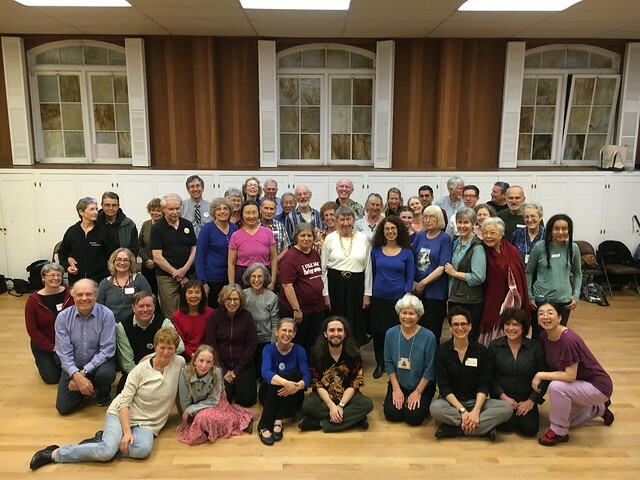 It was introduced by Antol Joukowsky at the 1967 Stockton Folk Dance Camp.